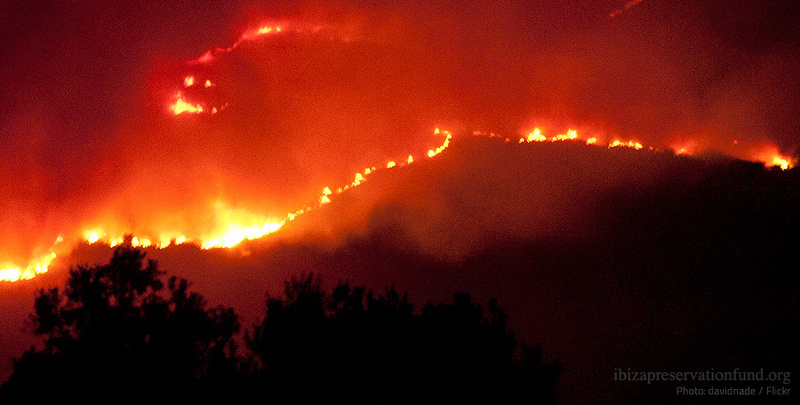 • Energy use has increased, exceeding by 85% the 2030 target set out by the Balearic Climate Change Law. • Renewable energy on the island is practically non-existent, and growth of renewable generation is stalled. • For water, the over-exploitation of wells is still widespread, leading to depletion of aquifers, while desalination plants only operate at 50% capacity. 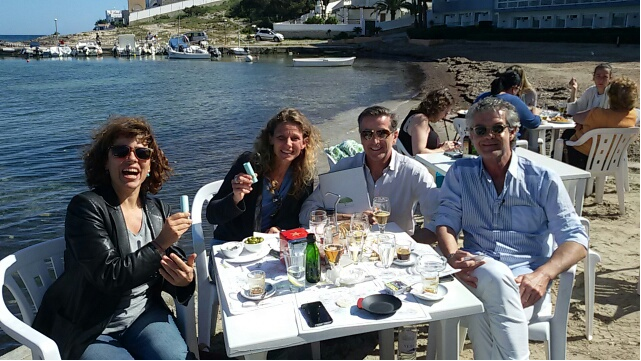 • Waste generation has been reduced by 0,5% , but there is still a long way to go in order to achieve the 10% reduction target required by 2021 under the Balearic waste law. • Selective waste collection has increased to 17.2%, but the island is still far from the 50% target required in order to comply with the Balearic Law in 2021. On 3 April, the IPF Sustainability Observatory (Observatorio de Sostenibilidad de Eivissa) released the conclusions of the Circular Economy Section of its first Annual Sustainability Report (2018) at a press conference organised at the tourism school (Escuela de Turismo). This annual report, which monitors sustainability trends in Ibiza, is one of IPF’s main focus areas and is essential to improve our knowledge of the state of the environment, encourage public debate, and provide updated and accurate information to assist government bodies in decision-making in key sustainability issues. 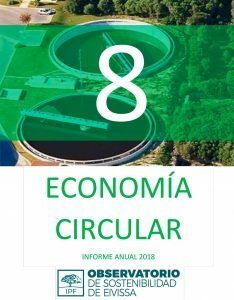 Data reported on the circular economy section of the study show slight progress in the current situation of waste management, energy, and water use in the island, even if still far from targets required by Balearic and Spanish legislation. The study shows a growing trend in energy use in the last decade, with a 7% increase in demand in 2017, up to 468,286 tonnes of oil equivalent (toe), exceeding by 85% the 2030 target set by the Balearic Climate Change Law. Energy use continues to grow in every municipality, with Sant Josep and Sant Joan displaying the highest per capita consumption (6,578.1 and 6,354.0 kWh per capita, respectively), followed by Ibiza, Santa Eulalia and Sant Antoni (5,522.9 and 5,618.4 5,344.9 kWh per capita, respectively). Rising energy use has also led to a small 1% increase in CO2 emissions in 2017, mainly due to growth in land transport. As for water resources, increased water use from desalination plants in 2018 is a positive trend worth highlighting. Water supply from desalination plants is crucial in order to reduce withdrawals from the island’s depleted aquifers. However, in 2018 the three Ibiza desalination plants have operated at almost half-capacity, producing only 9,5 hm3/year compared to a potential maximum output of 16,6 hm3/year. Exception made of the summer season, when urban demand escalates, the operation of the three plants at full capacity could ensure urban water supply all year round without withdrawals from aquifers. The study shows widespread deficiencies in the operation of sewage facilities, as in the past two years all of the island’s wastewater treatment plants, with the exception of the Port de Sant Miquel facility, have occasionally dumped untreated water at sea. Worth highlighting also is the 0,5% reduction of waste generation in the island in 2018 for the first time. This change of trend is due mainly to waste reductions achieved in Sant Antoni, Ibiza and Santa Eulària municipalities, that have cut back waste generation by 3%, 1,3% and 0,1% respectively. Waste generation in Ibiza exceeds only by 10% the target set by the Balearic government for 2021. Selective waste collection has also increased, reaching 17,2% of total in 2018 thanks to growth in selective collection in Sant Josep (25,1%), Santa Eulària (24%) and Ibiza (23,1%) municipalities. But it is still far from the 50% target set for 2021 by the new Balearic regulations. An added challenge is the fact that waste generation in Ibiza is strongly seasonal, with volume increasing threefold in the summer compared to winter months. Collection of glass, for instance, is linked directly to hotels and the nightlife sector, increases fivefold during the summer season. An objective analysis of the data shows that Ibiza is still far from European policies that promote a circular economy, encouraging member States to reduce the use of non-renewable natural resources, cut down waste generation and encourage recycling and reuse. The study also reveals that local renewable supply covers only 0,25% of Ibiza’s energy use, meaning that renewable generation needs to be scaled-up 100-fold in order to comply with the Spanish 20% renewable commitment for 2020. Waste recycling is also far below the desirable 50% target, while the majority of wastewater is dumped at sea . Only 6% of treated wastewater in Ibiza is reused, and it is still virtually unfeasible to increase reutilization due to current deficiencies in sewage treatment facilities, and to the high salinity of wastewater, which precludes reuse in farming. In the energy field, an urgent priority for Ibiza is the promotion of renewable energy production, and the adoption of energy efficiency measures in households and in the tourism sector. As for water resources, it is imperative that the three Ibiza desalination plants operate at full capacity, while modernisation and improvement of wastewater treatment facilities is also critical. Increased public awareness on the need to recycle more is also a pressing necessity, as is reducing waste generation in the island generally.